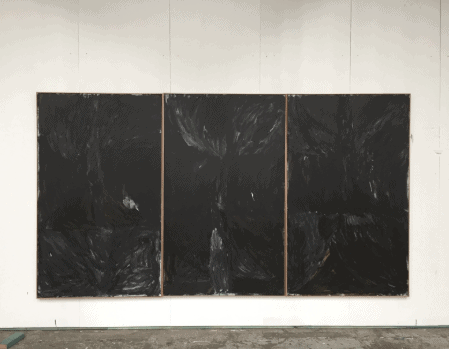 Lottie Consalvo has created two large-scale major works to be presented at Sydney Contemporary next week, titled ‘And when it all ends the line snaps and falls into itself and giant black flowers emerge from the great lines absence … or maybe I just couldn’t see it today’ and ‘Ever and Ever’. Consalvo will also be presenting a talk in conversation with Dominik Mersch on 13 September in our booth E08 to discusses her artistic practice as well as her past and upcoming projects. The talk will be on opening night, Thursday 13 September from 6pm – 6:30pm.